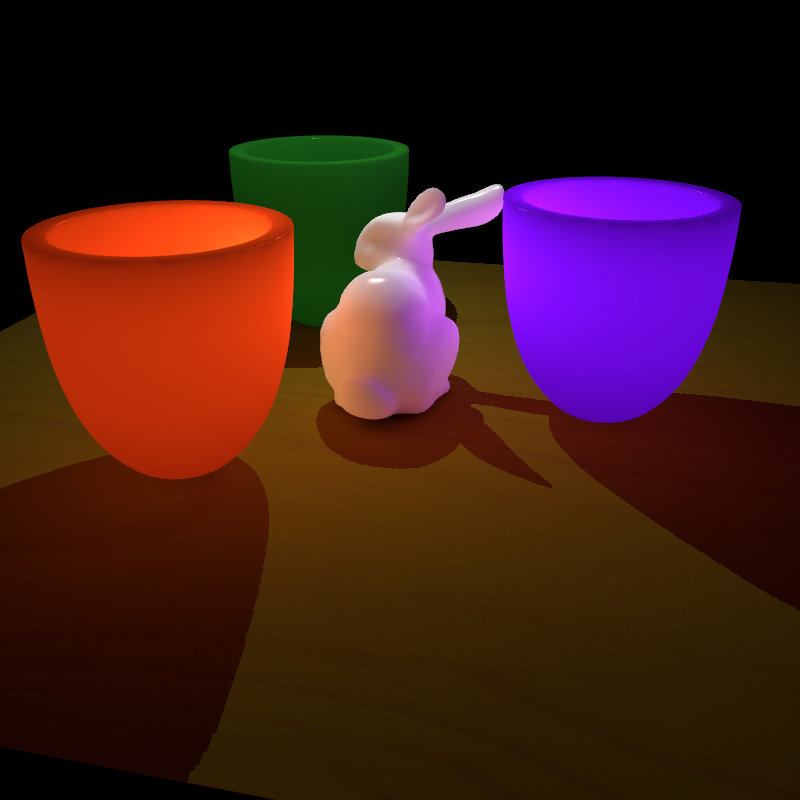 Light propagation in scenes with translucent objects is hard to model efficiently for interactive applications. The inter-reflections between objects and their environments and the subsurface scattering through the materials intertwine to produce visual effects like color bleeding, light glows and soft shading. Monte-Carlo based approaches have demonstrated impressive results but are computationally expensive, and faster approaches model either only interreflections or only subsurface scattering. In this paper, we present a simple analytic model that combines diffuse inter-reflections and isotropic subsurface scattering. Our approach extends the classical work in radiosity by including a subsurface scattering matrix that operates in conjunction with the traditional form-factor matrix. This subsurface scattering matrix can be constructed using analytic, measurement-based or simulation-based models and can capture both homogeneous and heterogeneous translucencies. 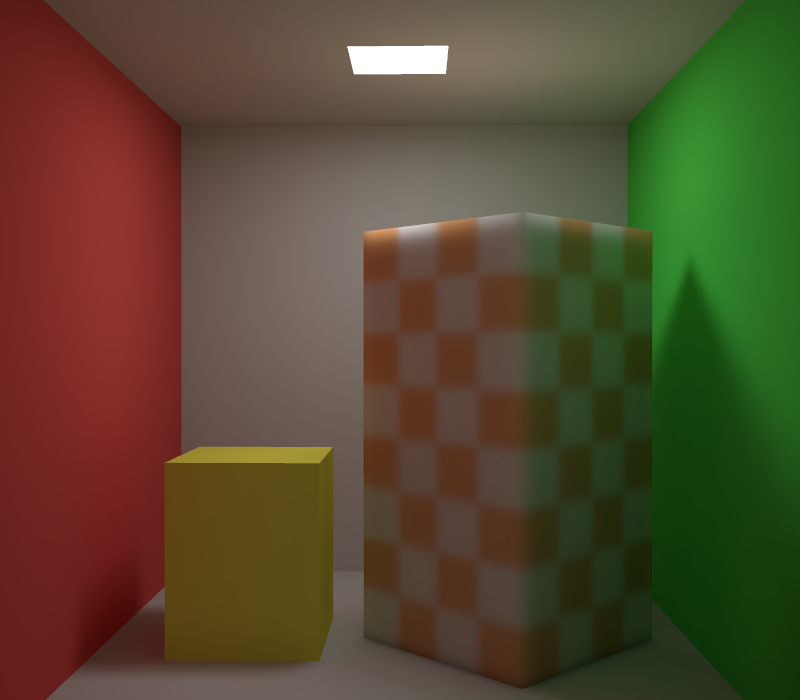 Using a fast iterative solution to radiosity, we demonstrate scene relighting and dynamically varying object translucencies at near interactive rates. 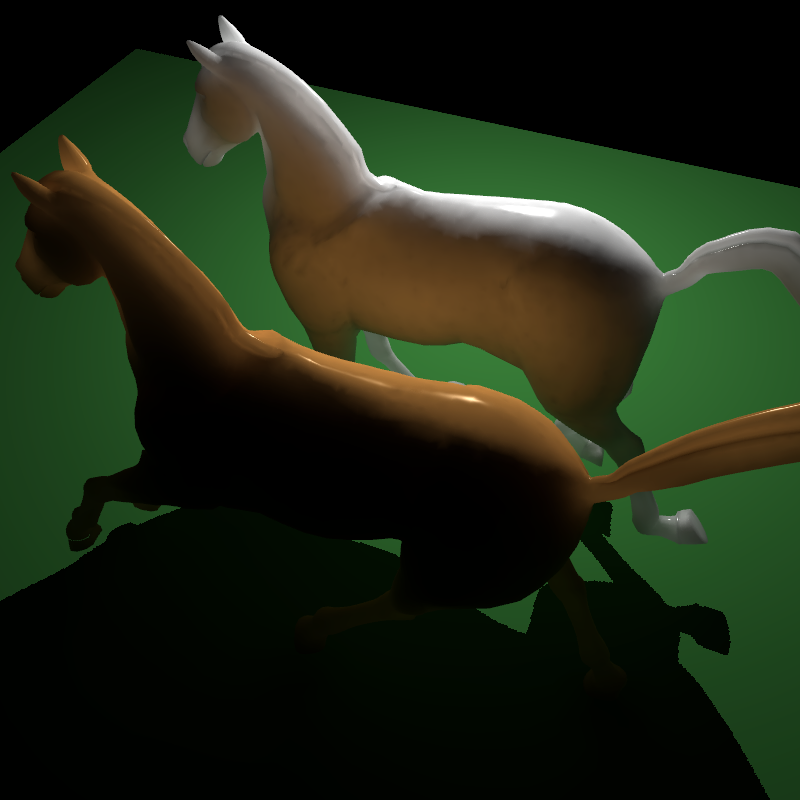 "A Practical Analytic Model for the Radiosity of Translucent Scenes"
[left] Two translucent horses (63k polygons) illumina ted by a point light source. 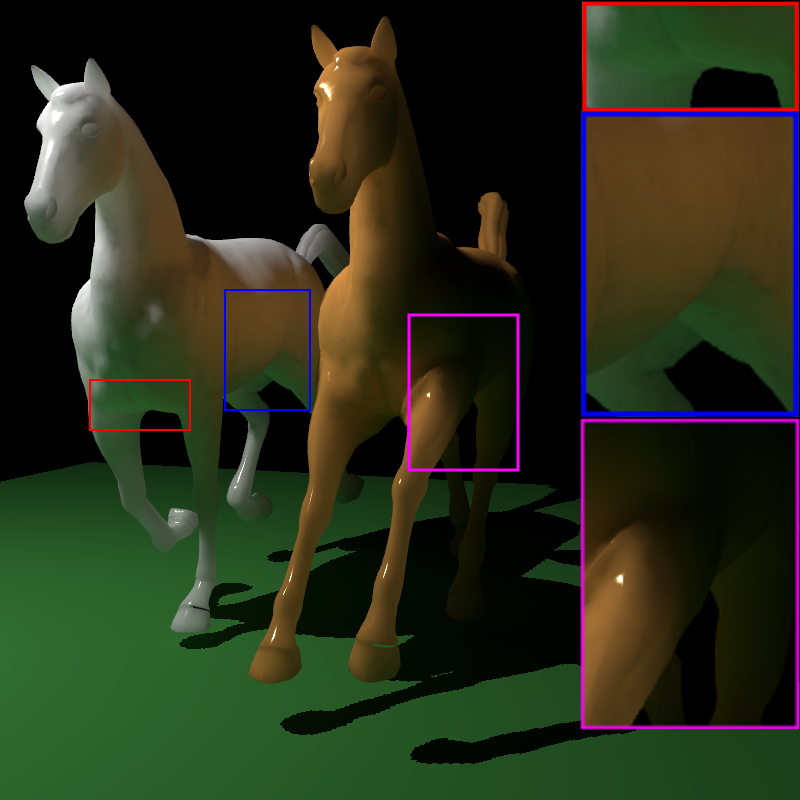 The three zoomed-in regions show that our method can capture both global illumination effects. [middle] The missing light transport component if only subsurface scattering is simulated. 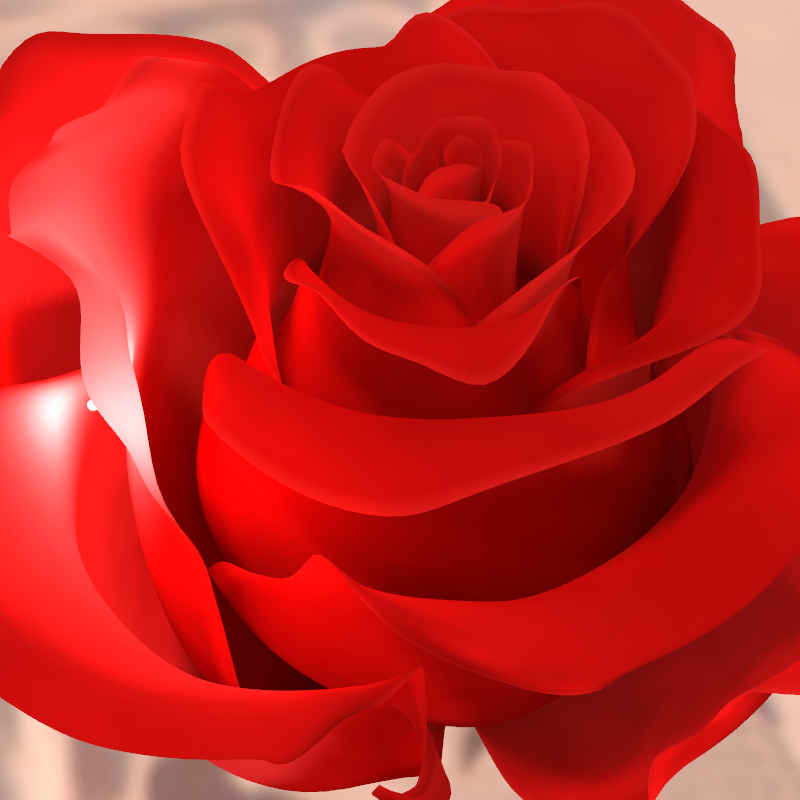 [right] The same mesh rendered with a different lighting and viewing position. Our model supports interactive rendering of moving camera, scene relighting, and changing translucencies. 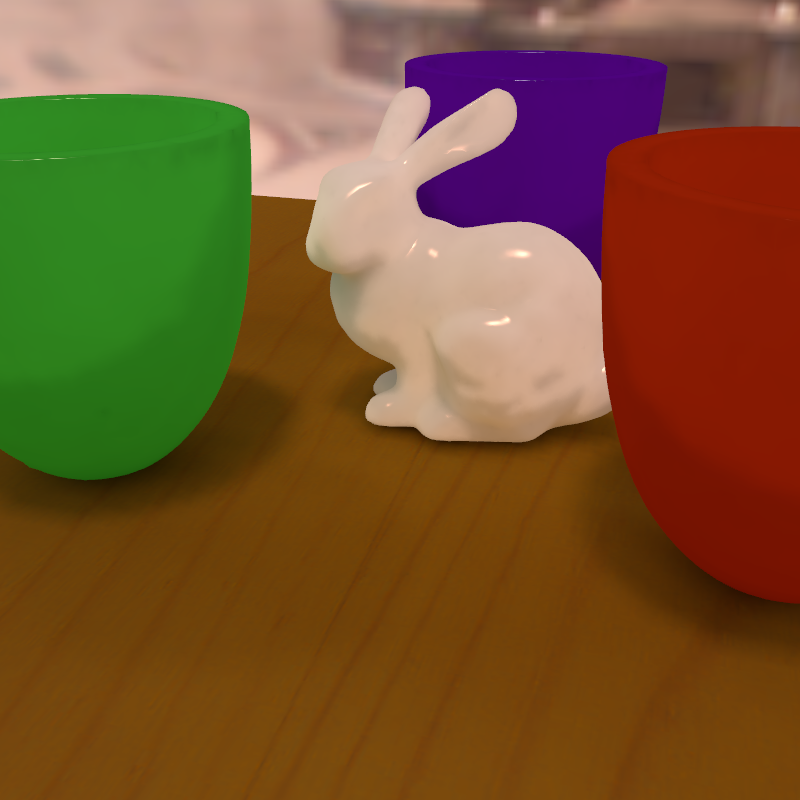 Renderings of the "bowls and bunny" scene under different lighting conditions. 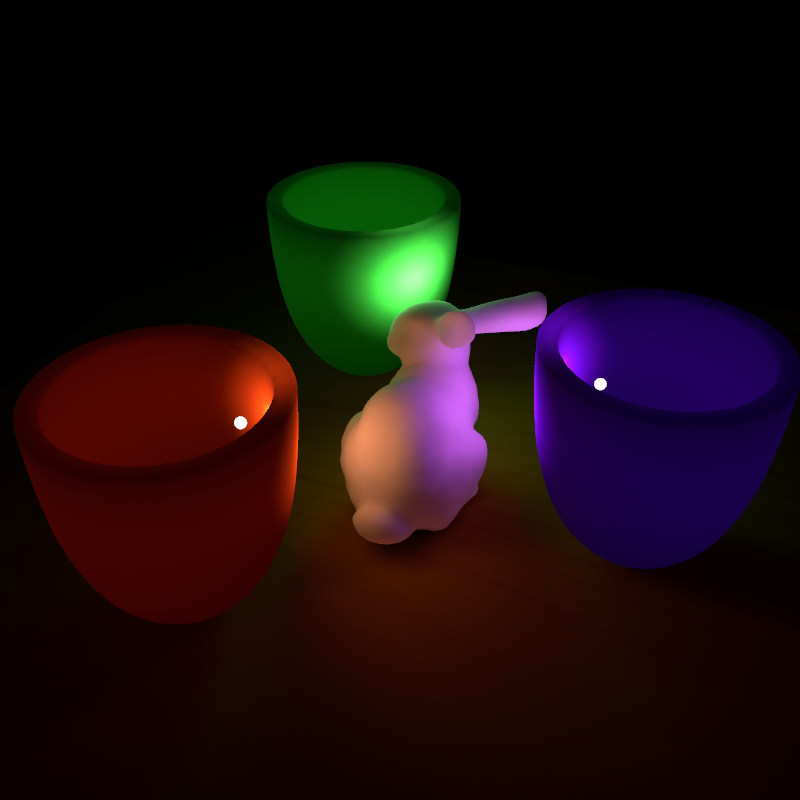 [left] Light scattered through three colored bowls illuminates different parts of the bunny. The scene is illuminated by three spot light sources, with one located inside each bowl. [middle] The same scene is illuminated by three point light sources, one above the green bowl and two inside the other two bowls. 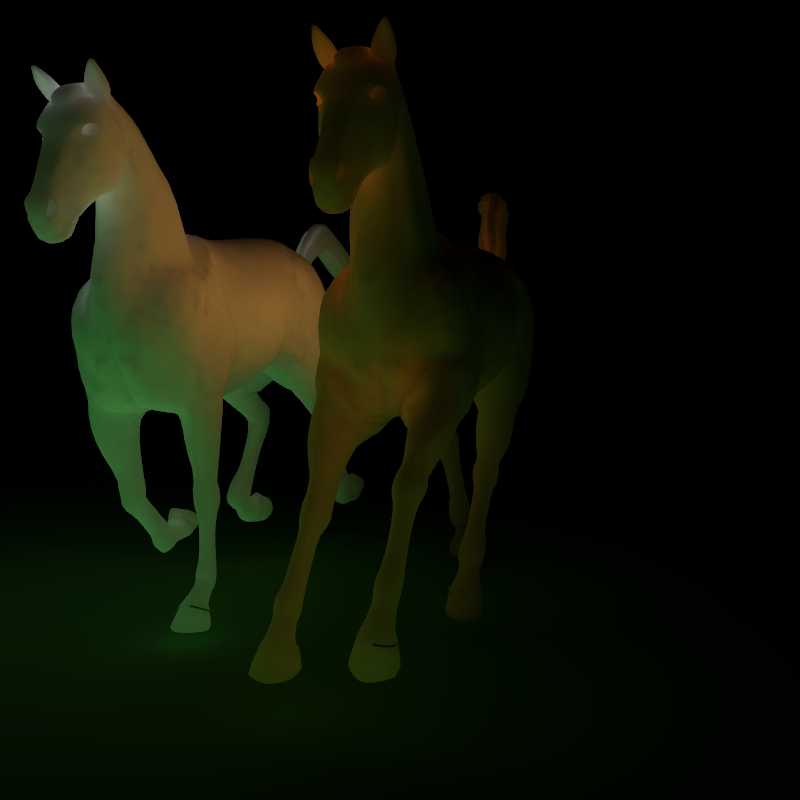 [right] The same scene illuminated by environment lighting. 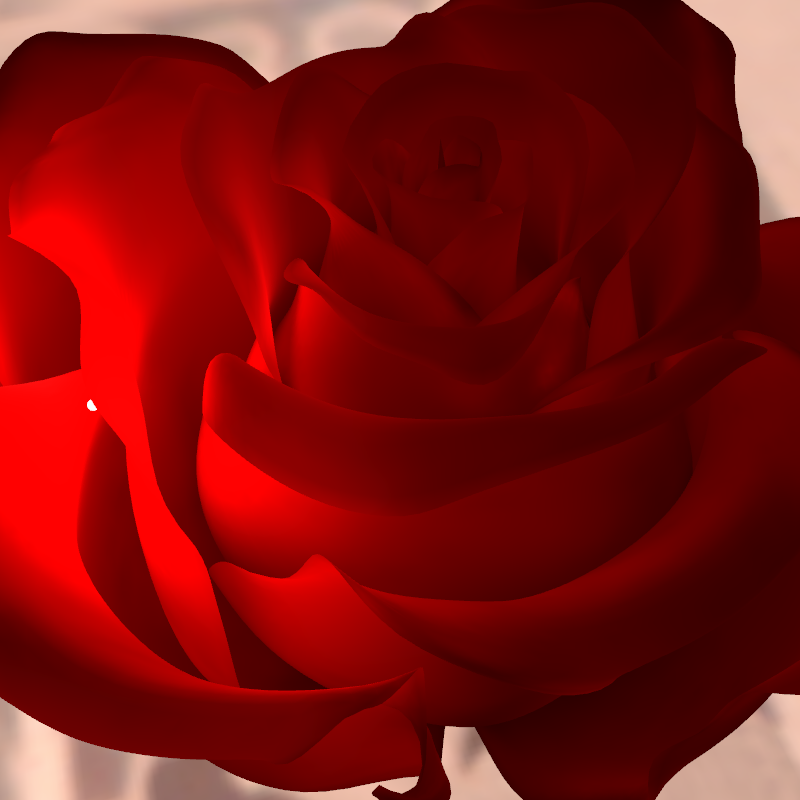 [left] A rose model (72k polygons) rendered with the lighting from St. Peter's Basilica environment map and a point light source between the petals. [middle] The missing light transport component if only subsurface scattering is simulated. 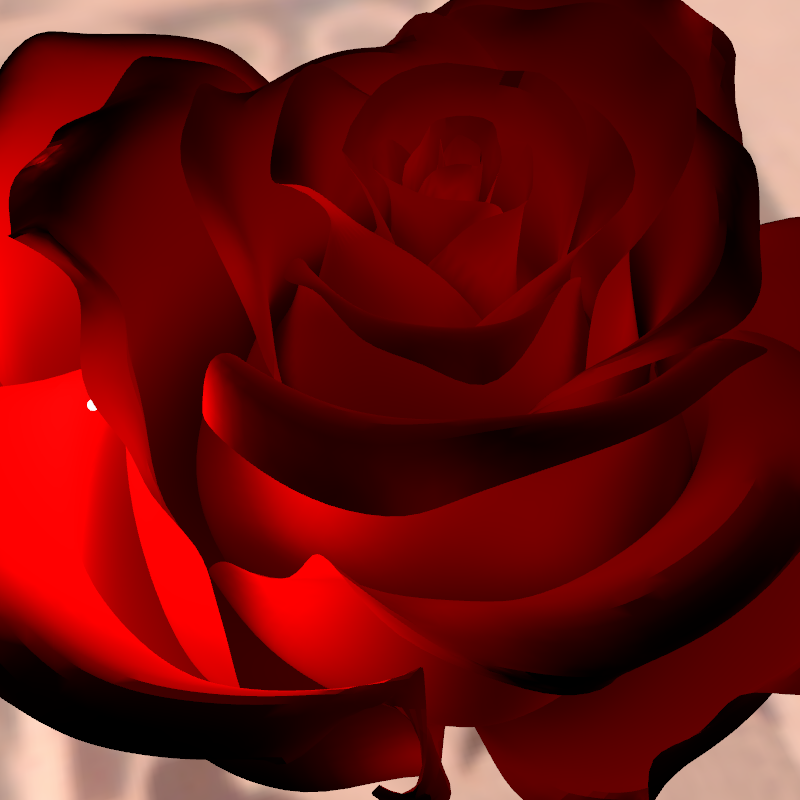 [right] The global illumination if the rose was opaque and only diffuse inter-reflections (classical radiosity) is simulated. Our model also supports heterogeneous translucent materials. Note the color bleeding effects on both sides of the marble block and the orange color on the right part of the ceiling to the reflection from the translucent block. This video shows all our examples of interactive rendering of translucent scenes using our analytic models.